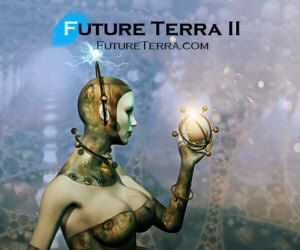 For those of you who have been with us long enough to remember, we used to have a turn based Science Fiction MMORPG that we took offline a few years ago. Now that ROK II is kicking off steam we felt that some would like a Science Fiction version with a slightly different system remaining on that focus of building your own story. This Thread remains here as the beginnings of the Discussion on the future project. I for one would enjoy a future type style of role play similar to ROK II I am sure it can be a lot of fun too. It will be really cool to see this. I am in ROK II but haven't gotten far in that but something Science Fiction related done like that would be good to get my creative juices going again. I would like to be able to play a turn based MMORPG, that's Science fiction, with similar mechanics to ROK II. Does it involve interplanetary space travel? Interaction with Alien races? A future version of ROK II would be really cool. Sign me up as one of the first players when you have it ready. This will come to play once I have significant support for ROK II and the main features finished like Armies. Keep in mind that building a game like this does not stop at one instance because the story constantly expands. In fact, there may be a way to transition from ROK II to this version and back again like a time warp! Now that would be interesting to say the least. I am not sure how it would all work that is why we have you Jay *smile*. Actually, time warping is a relative thing that can channel two different periods with ease, but at this stage its all wishful thinking (Coding).